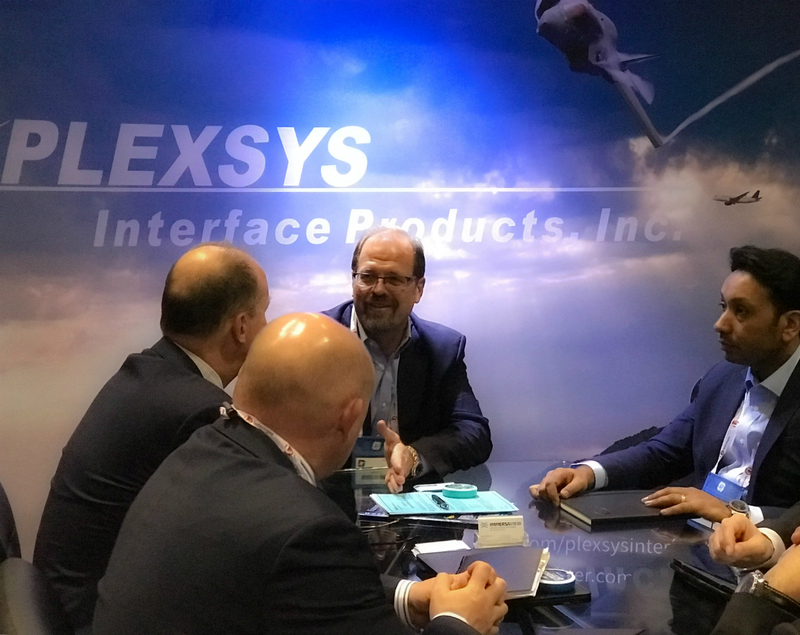 PLEXSYS Interface Products, Inc. will demonstrate the latest in Advanced Modeling and Simulation (M&S) solutions at the Combat Air Forces (CAF) Weapons and Tactics Conference (WEPTAC) at the Nellis Air Force Base Officer’s Club in Las Vegas, Nevada. The annual two-week event brings together hundreds of warfighters from the CAF to discuss current issues, look at future issues, and provide solutions for the joint employment of forces. PLEXSYS will be available at the event on January 10-11, 2018. PLEXSYS concentrations include the development of Live, Virtual, and Constructive (LVC) environment generation technologies used throughout the United States and within other joint and international endeavors. PLEXSYS also provides superior mission briefing and after-action-review technologies, as well as comprehensive LVC synthetic communications training solutions. Our expert team, located in the Eagle Ballroom, will provide demonstrations and additional information to visitors throughout the show. Video, Audio, and Data for After-Action Review (VADAAR) LVC: VADAAR LVC is the latest technology from ImmersaView and provides a local and distributed, multi-participant after action review capability, all accomplished within a light and upgradeable software framework that uses your existing computer network, eliminating the need for additional hardware. It allows you to record, review, and stream video, audio, and data locally or anywhere in the world from any device. EnGen Framework: EnGen is a powerful new global simulation core. It rises to the challenges of ever-evolving simulation needs. Designed by PLEXSYS for maximum flexibility and employment across a wide variety of uses and environments, EnGen is scalable, adaptable and easily sustained. EnGen also maximizes usability by integrating with existing simulation environments, models, and databases. SimWorks: In concert with EnGen, SimWorks is a powerful new simulation platform that has been designed for maximum flexibility and employment across a wide variety of uses and environments. While robust enough to forge new ground in all forms of air/land/sea simulations, SimWorks is perfectly suited for simulating civilian environments such as high traffic FAA scenarios, disaster response exercises, and an academic instruction space requiring a network of smart entity behavior. Global Land Air Sea Space (GLASS) View: GLASS View is a robust environment viewing tool that is easy to install and can be operational in minutes. It works with many simulation environments and is customizable and scalable. It easily allows people to view and review the entire 3D simulation spectrum. To schedule a meeting during the conference: please contact Tara Marta at tmarta@plexsys.com or (360) 838-2536.